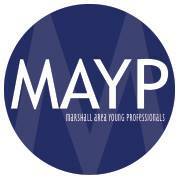 In February, join the Young Professional’s group as we hear about Open Door Health Center and the community-based medical and dental services they provide in the Marshall area and all of Southern Minnesota. Open Door Health Center (ODHC) is an independently owned and operated, non-profit community health center, with its main site in Mankato. In Marshall, ODHC has partnered with Western Mental Health Center to provide access to integrated care by providing family practice medical care to patients. They also have a dental clinic in Clarkfield. Come hear about what makes their services different as well as their success stories. Thank you to the Sleep Inn for sponsoring the 2017-18 Marshall Area Young Professional events!